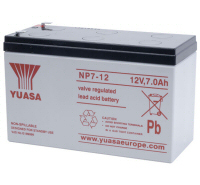 Hardwarexpress.co.uk are Authorised Yuasa Distributors - Yuasa NP, NPC and NPH batteries utilise the latest advance design Oxygen Recombination Technology. 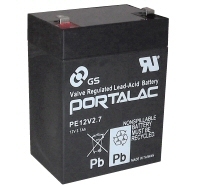 Yuasa have applied their 80 years experience in the lead acid battery field to produce the optimum design of Sealed Valve Regulated Lead Acid batteries. Yuasa NP batteries are the most reliable batteries in the world, which is why industry choose Yuasa over any other battery for security, fire, emergency lighting and uninterruptible power source (UPS) applications.